A recent photo of Xu Zhiyong. After getting out of prison I discovered a pessimistic sentiment in many of my friends. Some of them fled China. Others said that the Chinese people aren’t worth saving. With this totalitarian surveillance state and its repressed people, it feels like history is running in reverse. But I’m an optimist at heart and I remain optimistic. I see that authoritarianism is actually weakening, while the strength of liberty and democracy is on the rise. More and more citizens have woken up. The authoritarian ideology, once powerful beyond compare, is in rout. The last few years have seen challenges to economic growth and nationalism—the pillars of legitimacy in the age of reform and opening up [China’s economic and social reforms beginning in the 1980s]. The economy is in recession, and nationalism has met with setbacks in the Diaoyu Islands and along the Sino-Indian frontier. Confucianism and other aspects of traditional Chinese culture are incompatible with Communism. A privileged class predicated on profit is sure to be brittle and weak. As we can see from the example of Yuan Shikai (袁世凯),* rule by vested interests betrays the current of history. When the time comes, it collapses overnight. China’s finances are in a bad way. The economy relies on a monetary policy of forced stimulation that has reached a dead end. Endless sums are created, lent, and spent on inefficient infrastructure investments, betraying the principles of economics and making financial crisis unavoidable. The split Party and civil administration are almost like a double government, the hierarchies are multitudinous, and the burden upon the people is among the highest in the world. State revenues decrease while the cost of maintaining stability rises rapidly. Just like the imperial dynasties in their final years, today’s financial situation is dire. However, the biggest uncertainty comes from the central leadership. Chinese officials are unenthusiastic and shirk their responsibilities by deferring everything to orders from above. Totalitarian systems are doomed to grow weaker over the generations as factional compromise saps the regime’s core strength and places mediocrities in positions of power. Even if there is someone who wants to restore the old order, his efforts will lead nowhere. He is ridiculed, not revered, by the majority. The leader is the greatest uncertainty of the system and indeed of the entire country. Meanwhile, society is marching forward. Private wealth is increasing. Technology is improving, the world is becoming one. Pro bono lawyers, entrepreneurs of social care, independent intellectuals, and victims of the powers-at-large, the number of awakened Chinese citizens has increased during these four years [while I was in prison]. But we are still relatively scattered. How to concentrate the powerful energy of civil society is an urgent task that demands our full responsibility. What does China need most for its social transformation? A mature civil society. If there is a mature civil society, we will incur fewer costs and a beautiful future awaits. Revolution is not the design of any one individual. Our responsibility is not to knock down walls—though of course, living freely and candidly is equal to knocking down walls. It would be irresponsible for us to wait for change. Our responsibility lies in construction, constructing ourselves as a civil body. Is civil society possible? There is space for it. The critical matter is what is to be done, how it is to be done, and to which degree. We need to be wise and methodical. To build civil society and unite those Chinese who seek democracy and constitutional rule on one platform, I offer six key phrases. Freedom, Justice, and Love are our shared core values. These values ought to be the new height following freedom, equality, and fraternity, the desired values of a future society. Freedom is the true sovereignty of individual action and existence, its scope expands with the development of civilization. Justice means a fair and just society—its meaning is richer than the egalitarianism that was once applied to the stratified French society. It is a society with democracy, rule of law, and rational boundaries between individuals—each to his own, each to his ability, each is provided for. Love is more generous and profound than fraternity; it is the wellspring of life and happiness. One day these will become the core values of Chinese civilization. They don’t come from our ancestors. The core values of France—liberté, égalité, fraternité—were not those of the nobility, they were created by the people of France during their great revolution. Creating Freedom, Justice, and Love is the struggle of our generation of Chinese. For our ancient people and their civilization, these values will usher in renaissance and take common root across all humanity. Truth shall be the common guiding principle in our actions. To be a true citizen. To uphold the citizen’s identity, rights, and responsibilities. To uphold and proactively implement the freedoms and rights written in the Universal Declaration of Human Rights and the Chinese Constitution. Late-stage totalitarianism also preaches democracy and liberty, but it doesn’t really mean it. In its crowning absurdity, the core values of socialism have become sensitive phrases and subject to online censorship. We uphold these things. The truth is the ultimate deconstruction of lies and absurdity, and the greatest tool for building a beautiful China. The 1.3 billion Chinese need not take radical action. If they all took the rights contained in the Constitution seriously, China would change. A Beautiful China is our common direction. The China of our dreams is not only beautiful, but also free, just, and happy. A beautiful China encompasses beauty, but even more so embodies deeper values of democracy, rule of law, and freedom. Freedom, Justice, and Love is our direction, it is our mission and glory. Ours shall be a beautiful country reborn on the land where authoritarianism reigned for thousands of years. This is our purpose in life. Citizens are not an isolated circle. Say not “you citizens,” but “we citizens.” Do not reject the noble identity of citizen just because some unscrupulous people may appropriate this title. Lawyers, entrepreneurs, intellectuals, judges, civil servants, regardless of your wealth, social class, you are citizens. All us Chinese shall identity as citizens. We may not necessarily all eat at the same table, lawyers and entrepreneurs may have their own circles, but our identity is a common one—the citizen. The force of liberal democracy must be united. The identity of “citizen” is the best platform and the most solid cornerstone. Regardless of your social status or group, we are working forward together to a common goal. Communities of citizens can rise in each region and every industry. Assemble together, stay in touch with current affairs, and when the timing is favorable, take steps to coordinate with each other, for example by meeting on the last Saturday of each month. When millions and millions of Chinese assemble with the same identity, the same core values, and discuss the fate of the country and the people, they will have begun to form a civil body. Being a citizen and building civil society does not equal being under someone’s leadership or joining some organization, it means independently wanting to be a citizen among citizens. Citizens in different regions act autonomously and make progress of their own accord. A community of citizens and civil society is necessarily an organic development. Being a citizen, especially being a community of citizens, means standing up to oppression. If you abandon your identity in the face of pressure and don’t even want to be a citizen anymore, then you will have nothing to show for it. As the common body that shows the way towards social progress, the only way to build strength is to experience oppression and learn from the experience. If even the simple act of a same city dinner gathering (同城聚餐) means suppression, so be it. But this requires our perseverance. When the days comes that we are not even allowed to eat, there is still no problem: just go on hunger strike for a day. Even better, everyone go on hunger strike for a day. Have faith: your identity as a citizen can withstand oppression. It cannot be taken away from you. I earnestly beseech every one of my compatriots seeking democracy and liberty to know their identity as a citizen and its significance. Be a dignified and upright citizen together with those who share your ideals and ambition, discuss with them when you meet, follow current affairs, spread the citizen’s ideal, and uphold social justice. If you are entrepreneurs, you can seek like-minded friends among your business circles and gather as citizen entrepreneurs. If you are lawyers, you can seek the like-minded among your legal circles and gather as citizen lawyers. If you are judges, you can discover the like-minded and gather as citizen judges. You have common ideals regardless of your professional fields, your wealth, or status. Seek out and join hands with the citizens by your sides. I am a citizen, we are citizens. This is a pious faith. This is our responsibility to an ancient people. This is the struggle of our generation of Chinese, its undertaking, and its glory. *Yuan Shikai was a general of the former Qing Dynasty who manipulated China’s republican movement in an attempt to establish his own dictatorship. His actions contributed to the chaotic warlord era. Who Is Xu Zhiyong — An Interview with Dr. Teng Biao, Part 1 of 2, April 10, 2014.
Who Is Xu Zhiyong — An Interview with Dr. Teng Biao, part 2 of 2, April 13, 2014. The China Manifesto – detained activist Xu Zhiyong calls for end to ‘barbaric’ one party rule, January 23, 2014. 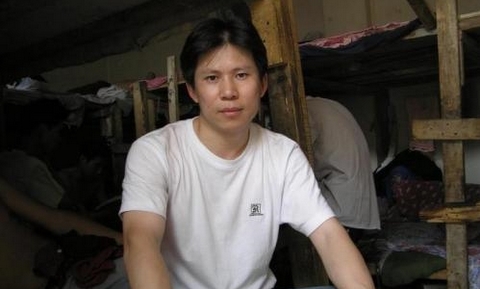 Yesterday we posted Xu Zhiyong’s essay calling for a New Citizens’ Movement. Today I want to highlight a few of the aspects that make this piece especially interesting to me, and why I believe this essay lays out a realistic path for change. What has been made clear time and again in Global Times and Peoples Daily is that the Chinese people have little appetite for revolution, they aren’t wrong about this. After all, they got their fill of the chaos that revolution brings during Mao’s reign. As I mentioned a few weeks ago, and a successful movement is going to have to reassure the people that what they are doing is not going to turn China into Libya, Egypt or Syria. I think in this respect, the New Citizens’ Movement accomplishes this by stressing reform not revolution. The goal of the movement is a democratically elected gov’t and a country ruled by law. Few revolutions have managed this without bloodshed, but those who have seen growing prosperity and stability. In Chinese history, revolution has been a bloody and violent affair (and this is stressed for political reasons in Chinese text books), and revolution creates a new group of winners and losers that can severely limit the success of the new system. Reform strips the Party of these lines of argument. The New Citizens’ Movement also smartly caches its goals within China’s current laws that are enforced at the whims of the Party. By reforming law from a tool of the Party to a means of protection for the people, it appears as a more palatable choice than starting yet again from scratch. Several months ago I had the opportunity to do a podcast with Xu Zhiyong about rural education and migrant schools. I made a comment related to the tension between locals and migrant workers that Xu rightly countered. For China to leave this current system behind, it has to abandon the idea that for someone to win, someone else has to lose. In the podcast he pointed out that a better education for the children of migrant workers created a better workforce and a better environment for the urban residents. Furthermore he argued that the hukou system must be abolished in order to tear down these artificial divisions that have been created in Chinese society that keep people from recognize their common hopes and frustrations. The New Citizens’ Movement successfully argues that even though China has many different problems affecting society, that there is a common solution to these – a gov’t responsible to the citizens. Whether it is the environment or forced evictions, an elected gov’t would not suppress these voices as they have tried to do in Wukan and Shifang. At the moment, China’s various activist groups are all calling for the gov’t to resolve a variety of problems, but this helps to demonstrate that even though there may be many different directions there is only one destination. Furthermore, the essay recognizes that a successful reformation can not exclude groups from the benefits it would create. Even though the Party would likely fall from power as a result of these reforms, the movement does not aim to make Party members into enemies. If you re-read the essay, you will notice that Xu does not attack the Party, but the problems endemic to the current political system. Power-holders are unsurprisingly reluctant to forfeit power, but allowing them a space in a new system is a step that I believe is a requirement for peaceful transition (which would look something like reconciliation in post-apartheid South Africa). The third aspect, and one that I think is especially useful, is that the New Citizens’ Movement realizes that motivating the gov’t to reform itself is an unrealistic path, and instead encourages individuals to refuse to participate in actions that perpetuate the system. After Shifang, much was made of the riot police beating protesters. This is the kind of violence that the current system demands, but a corrupt system cannot function without corrupt individuals. This is one of the central points of the New Citizens’ Movement, that through reforming one’s self the gov’t will be reformed. Xu Zhiyong himself is an excellent example of this principle. In his account of his detention he refused to co-operate with police who were operating outside of the law. Imagine the kind of change that would take place if gov’t officials refused bribes, judges ruled by the laws, and individuals refused opportunities to make quick, illicit profits. I think this is a far more effective approach to stem many of China’s social problems than calling for more laws that will not be enforced. While I doubt that the New Citizens’ Movement is going to sweep over China at any point soon, I find it hopeful in that it lays a clear framework for what China’s future could be. By pushing for meaningful reform, the unity of social movements and the Chinese people, and individual reform, Chinese activists are once again asserting their desire for a democratic China that is ruled by law. I find it incredibly frustrating that while Xu Zhiyong is currently under house arrest for his work with the New Citizens’ movement (and a number of other projects), the New York Times is wasting ink on a laughable op-ed calling for the establishment of a Confucian gov’t.